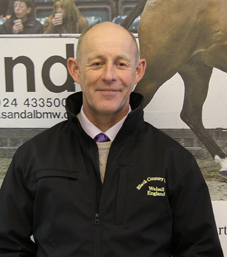 Black Country Saddles’ sponsored event rider, Ian Wills, provides advice on improving your jumping through balance and straightness. Ian starts by reminding us that whilst many aspire to a competitive show jumping round, it will only be achieved by those who have persevered with the correct training right from the very first basic level. Central to all this is the importance of working on balance and straightness at all times. Once you are confident this is the norm for you, you should then consider more progressive ringcraft. In particular, you should focus on adapting your horse’s stride between fences, all the time concentrating on balance and establishing more hindleg activity to give a cleaner jump. To be successful when jumping, you must learn to adjust your horse’s reactions as they must be smooth, yet quick and correct at all times. Underpinning this requirement is the half-halt, allowing you to adapt your horse’s gait and balance. The half-halt should be developed by regular riding trot-walk-trot transitions, but over time, you need to focus on reducing the time spent in walk. Next, sit up and ride for the walk transition, but instead of ending in a walk, collect the trot and ride forward. Finally, introduce them in canter. Spending time perfecting a half-halt gives you the ability to adapt your horse’s natural stride length to ones which are shorter and more manoeuvrable. 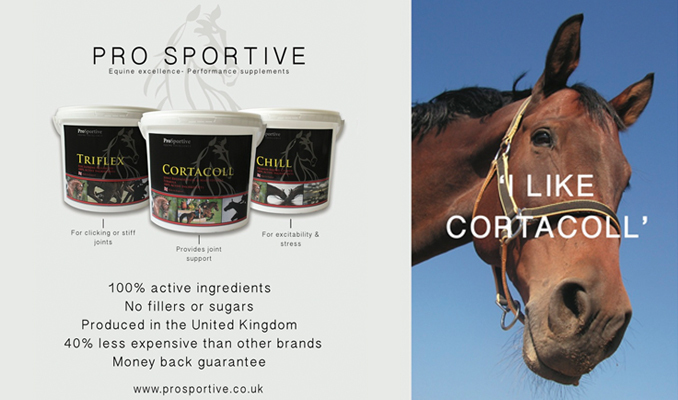 It also means your horse can gather enough power to lengthen his strides as necessary, without running or falling. Returning to the earlier point of balance, whilst it is obviously important to look where you are going and keep focused on your line, you must sit in a central position on your saddle and turn your head independently to the rest of your body. If you do not get this right, you will find yourself leaning in the direction of your line of vision on the way to a fence. This then escalates into further problems when riding through a turn. It really is a good investment in your time understanding if you naturally lean in this way. You must focus on your shoulders remaining square and parallel over your hips. Your posture should remain tall, focusing on holding your hips steady and your torso in place. It is so important to be able to alter your horse’s stride quickly and easily when jumping under the pressure of time. The more time you spend learning what your horse’s natural stride is will mean you are tuned in to his preferred distance to jump and then you can practice the difficult decisions you may encounter at competitions. All this practice will help you make the necessary quick decisions during a round. 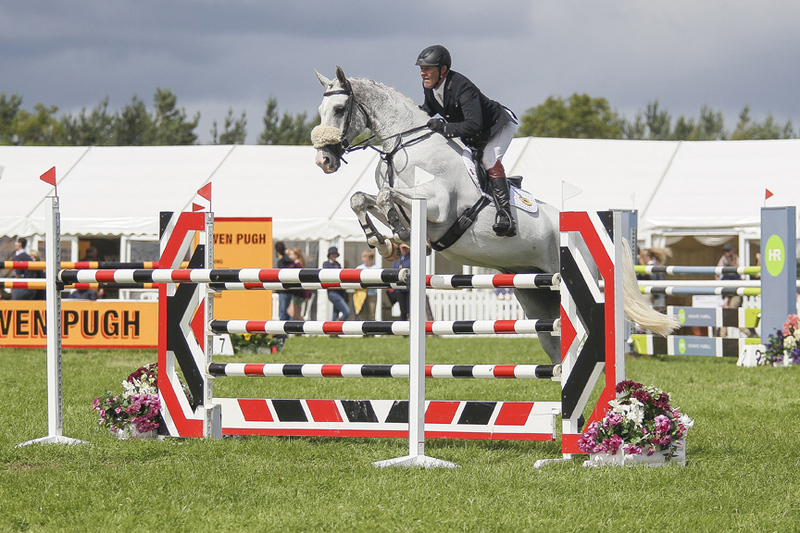 Proficient jumping requires enormous power and whilst some horses naturally engage their hindquarters, others tend to have a straighter movement behind. Said Ian: “Regular exercises are needed to test your balance, to ensure you sit up quickly on landing to make the adjustments. Set three canter poles on a straight line, each four strides apart. Begin cantering through the line in a normal canter, then have a go at fitting five strides between the second and third poles, then try three. Alter the number of strides between the first two poles to increase the difficulty level. Change the poles to a curved line to test your balance. 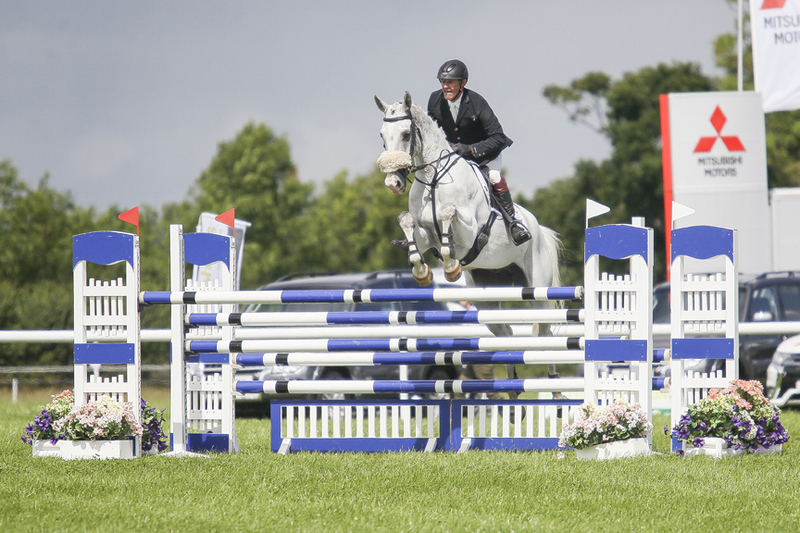 Position a small fence, followed by five strides, to another fence, followed by three placing poles and another fence. Maintain a consistent rhythm then try and shorten your horse’s stride. You must make your adjustments early and keep thinking ahead. Raise alternating sides of the placing poles between fences two and three. Negotiate this straight down the middle then adjust the strides through the line again. Whatever activity you are taking part in make sure your tack fits and you are confident it is up to the task! My preferred choice from the Black Country Saddles range are the Vinici Jump and Vinici Dressage saddles which fit to perfection and help provide excellent balance whether in the dressage arena or on the cross-country course.